Where will the Ministry get the money to fund 12 unprofitable projects? VietNamNet Bridge - The 12 unprofitable projects under the management of the Ministry of Industry and Trade (MOIT) need a bailout but it is still unclear where the money will come from. MOIT’s Deputy Minister Do Thang Hai said at the VNSteel’s review conference on January 11 that many meetings between the government and MOIT have been held to discuss solutions to rescue the 12 projects, which have incurred big losses. In principle, the unprofitable projects cannot be saved with the state’s money and investors must take responsibility for their investment decisions. However, ministries still do not know how to save the projects if they cannot use the state’s money. “The 12 projects are at the point of death and they need medicine to recover. But we cannot use state’s money. So what money can we use then?” Hai told Tuoi Tre newspaper. While ministries and agencies are still busy discussing solutions, the status of the projects is getting worse and investors are incurring bigger losses. 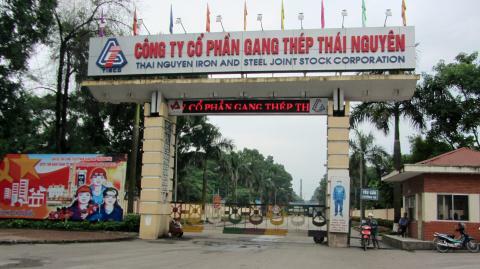 As for the Thai Nguyen steel project, the imported equipment has been left idle, while the investor has to pay VND1.5 billion in loan interest rate a day, or VND50 billion a month. A report showed that by the end of June 2018, the total loans provided to 12 unprofitable enterprises had reached VND20.934 trillion. Banks adjusted the debt payment deadlines and the amount of debts enterprises have to pay periodically to restructure the debts. MOIT’s Minister Tran Tuan Anh, when beginning his tenure, promised that his ministry would basically settle the problems of 12 unprofitable projects by the end of 2018 and the settlement would be completed by 2020. Two out of six factories, which took a loss in the past, have begun making a profit, namely DAP 1 Plant and Vietnam-China steel mill. The other four plants have seen their losses decrease. Two of three plants, which had to stop operation, have reopened. Dinh Vu Polyester Plant resumed operation of three production lines in April 2018, and six production lines in November 1, 2018. Quang Ngai biofuel plant has resumed its operation since October 2018.